S3 Browser 3.2.5 - Version News - Generate Web URLs for Cloudfront Distribution, Clone Amazon S3 Bucket, Download all files from S3 Bucket. What's new in version 3.2.5 - CloudFront URLs, Clone S3 Bucket, etc..
What's new in S3 Browser version 3.2.5. Release notes. Improved Web URLs Generator allows you to generate web URLs for CloudFront distributions. 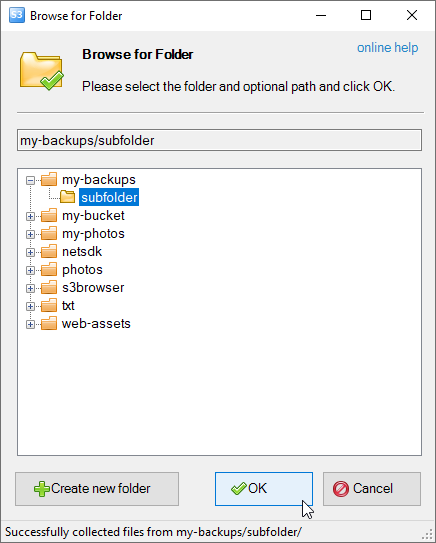 Select the file, group of files, folder or s3 bucket and click Files -> Generate Web URLs. Web URLs Generator will open. 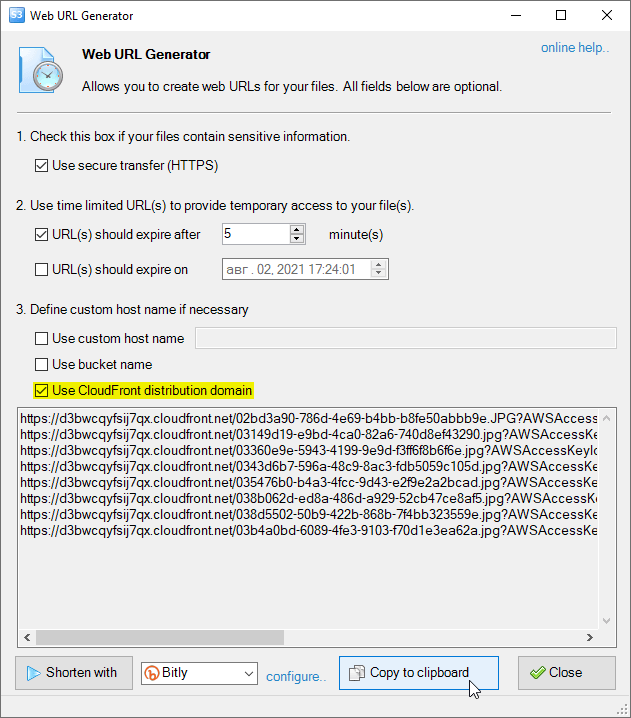 If there is a CloudFront distribution for the bucket, you will see corresponding checkbox that allows you to generate CloudFront Web URLs. Web URLs Generator allows you to generate web URLs for CloudFront distributions. New 'Clone S3 Bucket' feature. Copy all files from one Amazon S3 Bucket to another. New 'Clone S3 Bucket' feature allows you to easily copy all files from one Amazon S3 Bucket to another. Select the bucket you want to copy, click Buckets -> Copy all files to.. 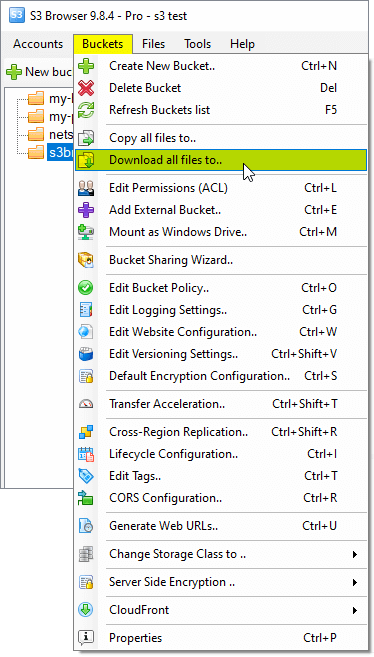 Select an S3 Bucket and click Buckets -> Copy all files to..
Browse For Folder dialog allows you to select destination bucket. Select the bucket (and optionally the folder) that you want to use as a destination and click OK.
S3 Browser will enumerate all files and folders in source bucket and copy them to destination bucket. If your Amazon S3 Bucket contains a lot of files, this operation may take a while. You can significantly increase performance using S3 Browser Pro. It allows you to increase the number of concurrent working threads and thereby process your files much more faster. New 'Download S3 Bucket' feature. Download all files from Amazon S3 Bucket. New 'Download S3 Bucket' feature allows you to easily download all files from Amazon S3 Bucket to local disk. Select the bucket you want to download and click Buckets -> Download all files to.. 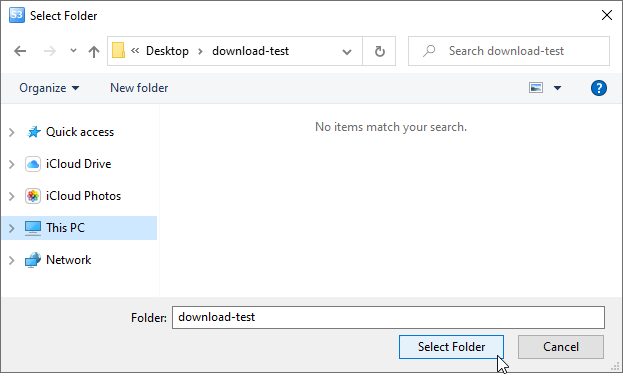 Select an S3 Bucket and click Buckets -> Download all files to..
Browse For Folder dialog allows you to select destination folder on local disk. Select the folder on your local drive and click OK. S3 Browser will enumerate all files and folders in source bucket and download them to local disk. If your Amazon S3 Bucket contains a lot of files, this operation may take a while. You can significantly increase performance using S3 Browser Pro. It allows you to increase the number of concurrent downloads and thereby download your files much more faster.